Jessica Miller (MPhil Cantab) has developed a project researching PTSD, Navigation and Genes, with which she is undertaking a PhD (supervised by Dr Jan Wiener), and also working in collaboration with UCL (Prof Chris Brewin). The project is being submitted by the NHS for registration with the NIHR in early 2013. The research is unfunded but with supporting contributions from the Army of Angels (registered charity), the BU Foundation and the PGR Scheme at Bournemouth University. Fieldwork will take place through Combat Stress (registered charity), Cambridgeshire Constabulary, and Branksome Psychotherapy Clinic (Poole). Why would PTSD affect navigation? 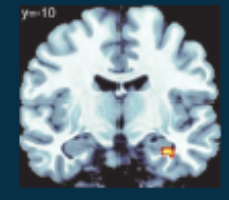 Based on a 2 year literature review around the hippocampus, PTSD and navigation – the hypothesis developed that if people who suffer from long term PTSD typically have smaller hippocampi, and if as people age (and their hippocampi wastes), their allocentric navigation is impaired, it makes sense to speculate that hippocampal-dependant navigation in those with PTSD would be affected. This hypothesis has also recently been reached by some at UCL through work with rats and stress toxins. During the research design phase a variation of the BDNF gene has been associated with lack of hippocampal neurogenesis from spatial training. This begs the question: does this gene present itself in PTSD sufferers? Early research just published in S. Africa suggests so. i agree with yor thesis. i emailed you about yor thoughts & i feel that given the amount of stress that diminishes the brain function this visual/ sensory skill diminishes. i do not drive now. i feel i’m a danger on the road. i have had no formal medical thing on this and wouldn’t want to, because i would always want to drive, if necessary. I feel your thesis is important given the interconnectedness of the nervous system & its relationship with mitochondrials (not that i have a clue wat all these are! ).